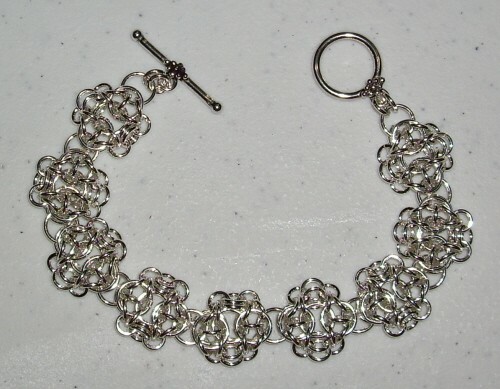 The Camelot Bracelet is beautiful and comfortable to wear. The stations of rosettes are very pretty and fun to make. It is striking in both one coro or in two tone. This is an intermediate project. The clasp is not included in the kit.